RAM-Mount provides the freedom to put radios where ever you want them. Stationary or mobile mounting solutions abound so no matter whether you"re working or enjoying your hobby, RAM-Mount has mounting solutions just right for you. RAM SUCTION SNAP LINK WITH DIA BASE RAM MOUNT PRODUCTS HAVE A 10-12 WEEK LEAD TIME. UNPKD. RAM EZ-STRAP SYSTEM WITH DIAMOND RAM MOUNT PRODUCTS HAVE A 10-12 WEEK LEAD TIME. UNPKD. RAM EZ-STRAP SYSTEM DIAMOND LONG RAM MOUNT PRODUCTS HAVE A 10-12 WEEK LEAD TIME. UNPKD. 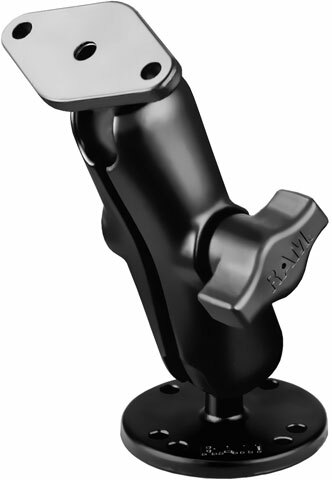 RAM LIL" BUDDY MOUNTING SYSTEM RAM MOUNT PRODUCTS HAVE A 10-12 WEEK LEAD TIME. FLEX STICK ON BASE with SNAP LINK MOUNT RAM MOUNT PRODUCTS HAVE A 10-12 WEEK LEAD TIME. UNPKD RAM MIRROR MOUNT SYSTEM SPRINTER RAM MOUNT PRODUCTS HAVE A 10-12 WEEK LEAD TIME. UNPKD RAM MIRROR MOUNT SYSTEM GM RAM MOUNT PRODUCTS HAVE A 10-12 WEEK LEAD TIME. UNPKD RAM MIRROR MOUNT SYSTEM FORD TOY RAM MOUNT PRODUCTS HAVE A 10-12 WEEK LEAD TIME. UNPD RAM MNT with SUCTION BASE DBL ARM DIA RAM MOUNT PRODUCTS HAVE A 10-12 WEEK LEAD TIME. UNPD RAM MNT W SUCTION BASE DIAMOND BASE RAM MOUNT PRODUCTS HAVE A 10-12 WEEK LEAD TIME. UNPKD RAM MNT with 2.47DIA. x 2.47X1.31 BAS RAM MOUNT PRODUCTS HAVE A 10-12 WEEK LEAD TIME. UNPKD RAM YOKE MOUNT with PLASTIC DIA BASE RAM MOUNT PRODUCTS HAVE A 10-12 WEEK LEAD TIME. UNKP RAM 6" FLEX ARM W SUCT BASE RAM MOUNT PRODUCTS HAVE A 10-12 WEEK LEAD TIME. UNPKD RAM UNIVERSAL PLASTIC ATV HOLDER RAM MOUNT PRODUCTS HAVE A 10-12 WEEK LEAD TIME. RAM POD I WITH 1" SINGLE SOCKET with 238 RAM MOUNT PRODUCTS HAVE A 10-12 WEEK LEAD TIME.